This new Base Station + Apple Watch is a modified version of the well-received Base Station that we examined not all that long ago. 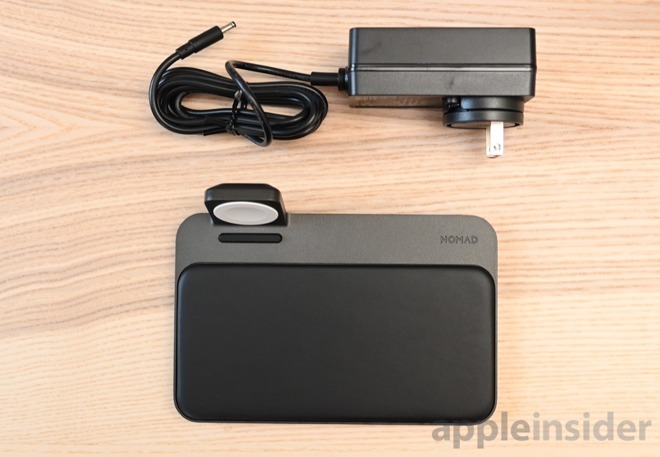 When we reviewed Nomad's wireless Base Station, our biggest complaint was lack of an integrated Apple Watch charging puck, forcing users to bring their own and ruining the otherwise seamless experience. With the new Base Station, Nomad has done just that. We know Nomad didn't design this based on our review, but we'll take the credit anyway. Most all of the key takeaways apply to the new charging station. It has solid, premium construction with an aluminum top body covered in beautiful Horween leather. There are a trio of charging coils to charge two devices wireless simultaneously, each with 7.5W output. Yes, the power adapter is still a bit bulky and rather ugly as they generally are —but it still fills the need. Instead of rehashing the same things we said last time, here we want to focus on what is new with this version. Namely, the Apple Watch charger. The charging puck is completely integrated, as well as certified through Apple to ensure it is powering your watch quickly, and safely. 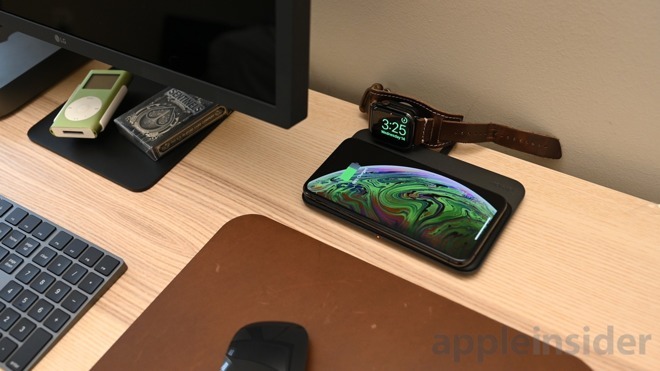 Being horizontal, it of course supports Apple's Nighstand mode, and nearly all watch bands out there. Whether you have a loop-style or a buckle style, the open back lets near any band fit just fine. Your Apple Watch gets positioned on the left side of the charging station, which does limit what you can place where. With the non Apple Watch version, two phones could be placed across the body, but with the charging puck in the way, they no longer fit. 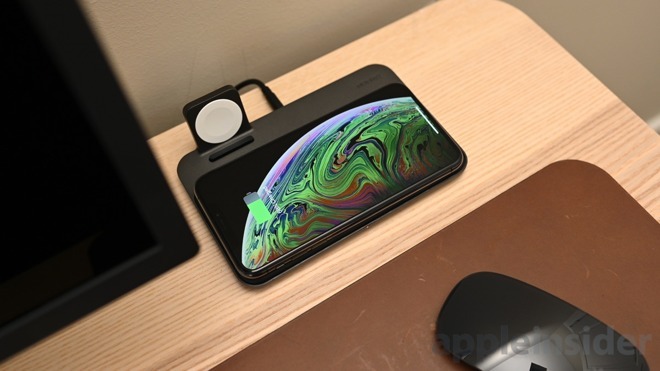 Smaller items still fit though, like AirPods with a wireless charging adapter. A phone can be placed horizontally across all the leather, or it can go perpendicular, protruding in the front and back. The choice is yours. While charging a trio of LEDs are positioned on the front to provide feedback about your charging status. Like other Nomad products, an ambient light sensor reads the brightness of the room to adjust the LEDs to not blind you at night. We wish others would adopt this thoughtful design. Simply put, we are fans of the Nomad Base Station + Apple Watch with one glaring issue — the new model drops both the USB-C and USB-A outputs. Originally, the USB-A output was perfect for powering your Apple Watch, but with an integrated puck we understood the omission. The USB-C port on the other hand is a different story. The USB-C port supported 18W of output power and was ideally suited for those gorgeous new iPad Pros. When we saw the updated version of the Base Station + Apple Watch we were thrilled and though Nomad finally had created our perfect charging solution. That was, until we saw the lack of USB-C output. That still leaves us having to find another power source for our iPad Pros. If you have an Apple Watch and an iPad Pro, the choice is tough. 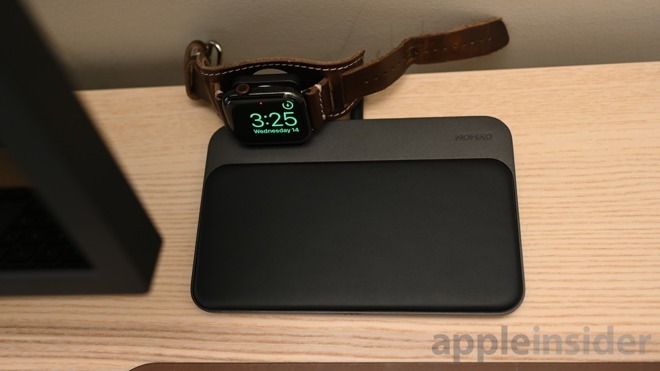 Go with the original Base Station and use a standalone Apple Watch charger but integrate your iPad cable into the Base Station or go with the new model and have your watch integrated, but supply another charger for your iPad. At least with the latter, your desk stays just a bit tidier. 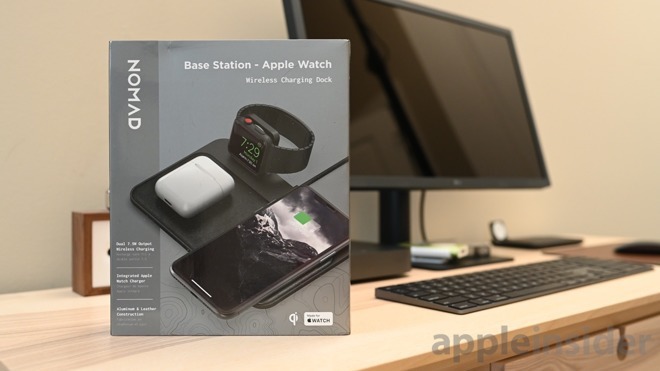 Both the original Base Station and the Base Station + Apple Watch are available direct from Nomad, with the Apple Watch model carrying a $20 premium, bringin it to $119.